If you’re anything like me, you own quite the collection of fabric scraps and remnants. And if you’re really like me, you like to put them to good use. 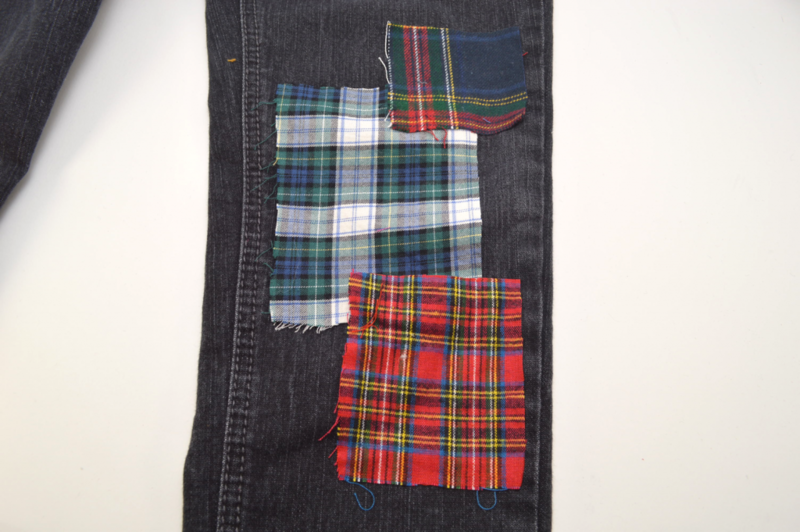 So, for this week’s project, I put a spin on a pair of well-loved, black denim jeans with a few plaid flannel scraps. 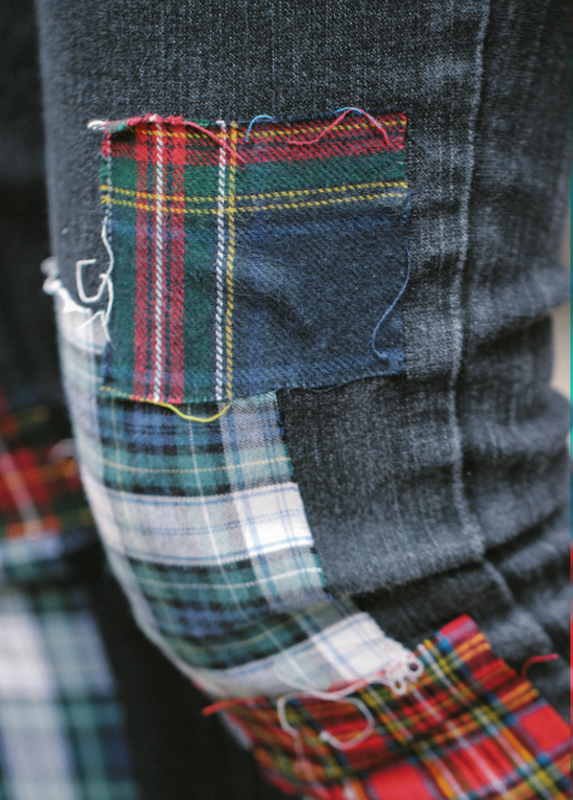 My finished project cost next to nothing, which is pretty sweet considering this pair of Paige Denim ‘Jimmy Jimmy’ Patch Detail Skinny Boyfriend Jeans is similar in concept, but retails for $250. 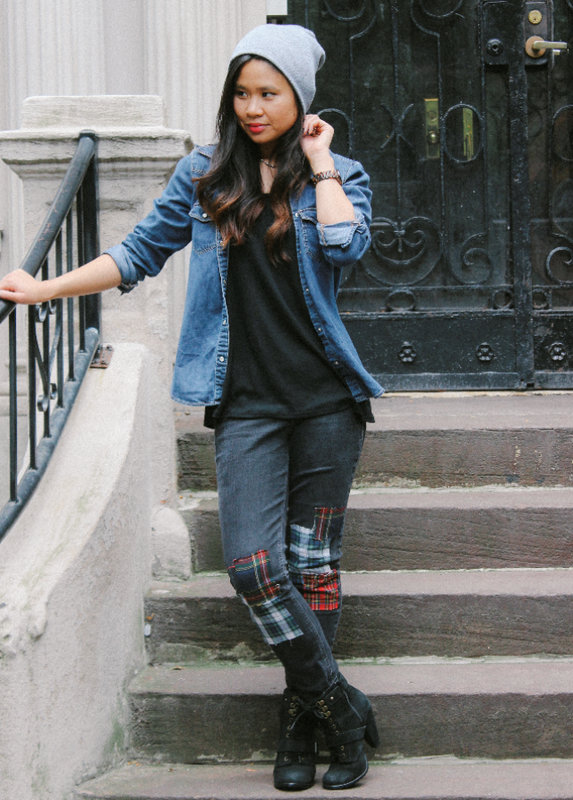 Paired with a beanie and my favorite boots, these jeans and I are all set for the breezy autumn season. 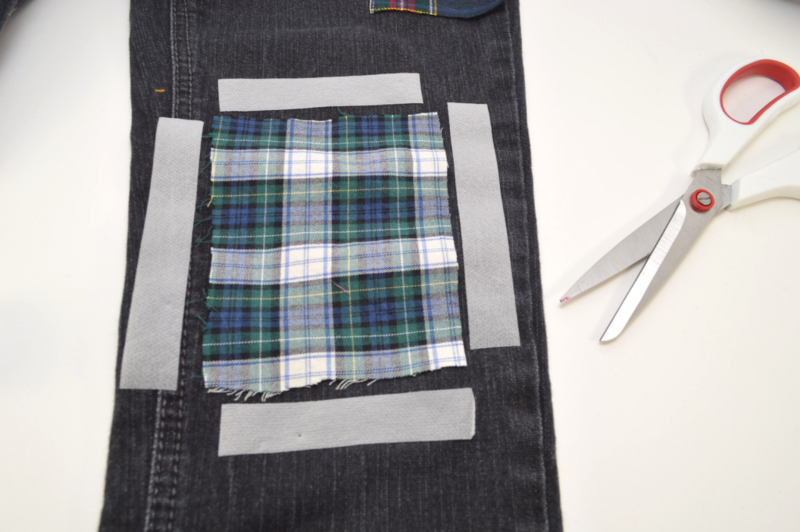 1) If you haven’t already, cut the flannel scraps into squares and rectangles. For best results, cut each remnant no more than 4.5 inches (11.43 centimeters) wide and 5.5 inches (13.97 centimeters) in height. Don’t hesitate to mix up the size range, though! 2) Determine the placement of each remnant. I focused on the general knee area. 3) Cut a strip of fusible webbing for each side of the rectangle/square. 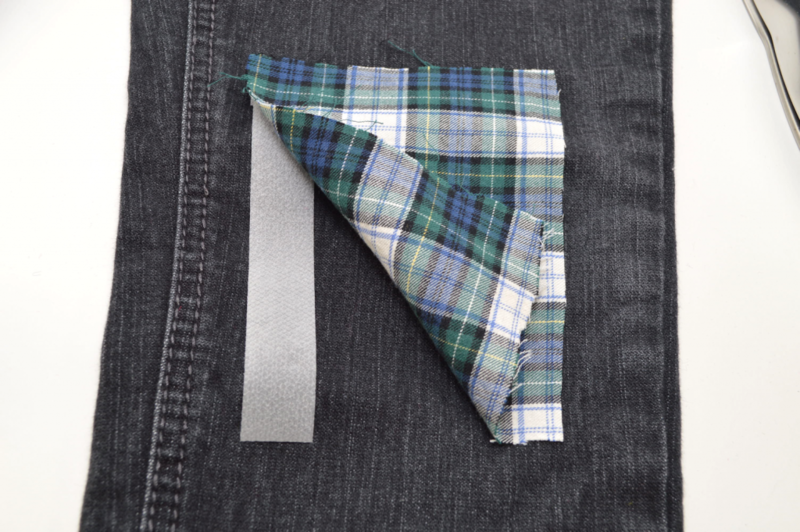 4) Place the first strip of fusible webbing tape in between the flannel and jeans. 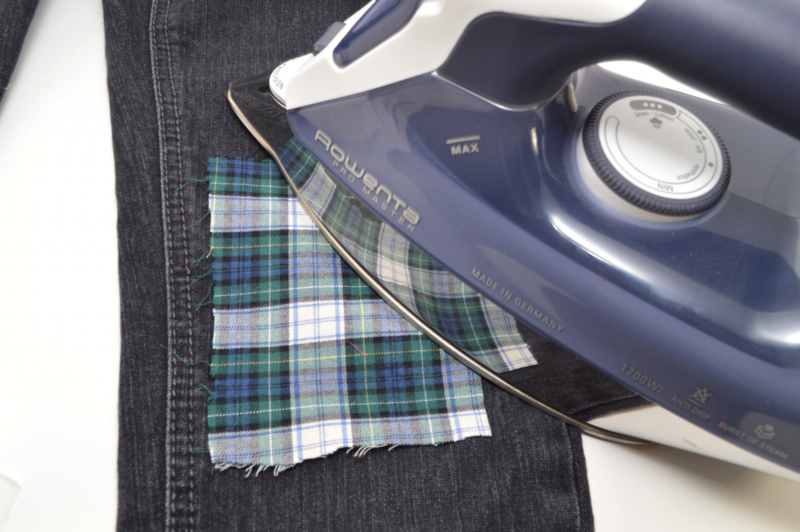 5) Firmly apply the iron to the jeans, using the Cotton setting and a flat, hard surface such as an ironing board. Repeat with the remaining strips. 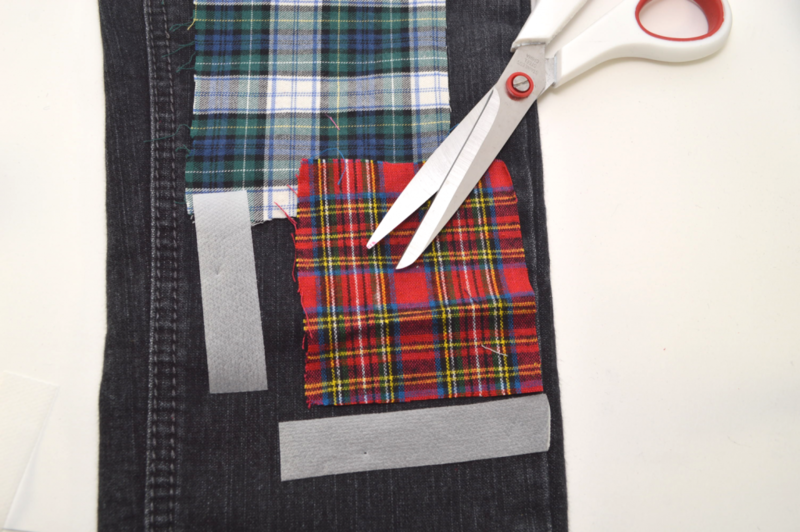 I typically add each strip one by one (or two at a time) to ensure that the fabric holds the proper placement. You never know when the fabric might budge while applying an iron. Of course, you can add all 4 at the same time if you prefer; this is just how I usually go about it. 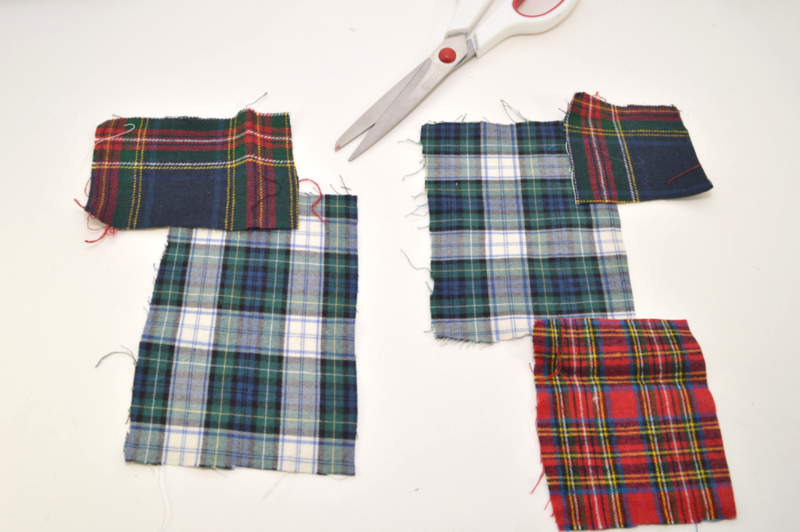 6) Repeat with the remaining fabric remnants. 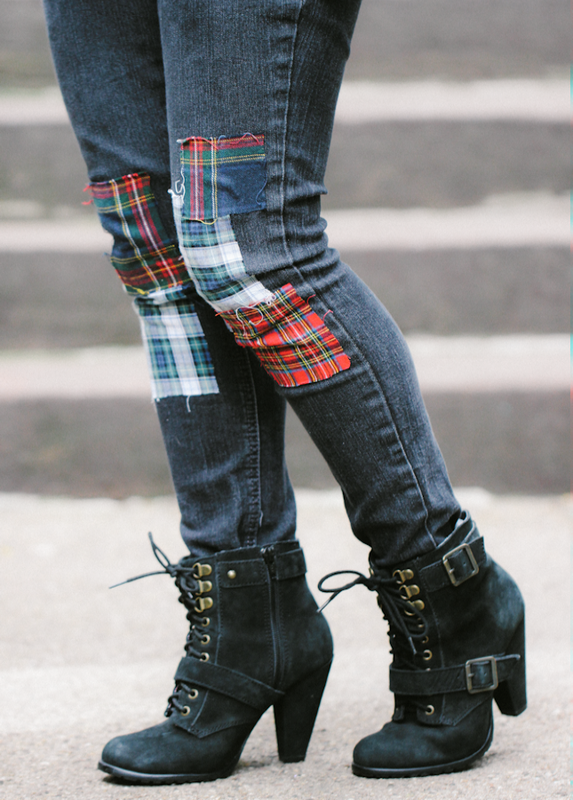 Overlap here and there to let the different plaid prints contrast with each other. Repeat on the other leg. 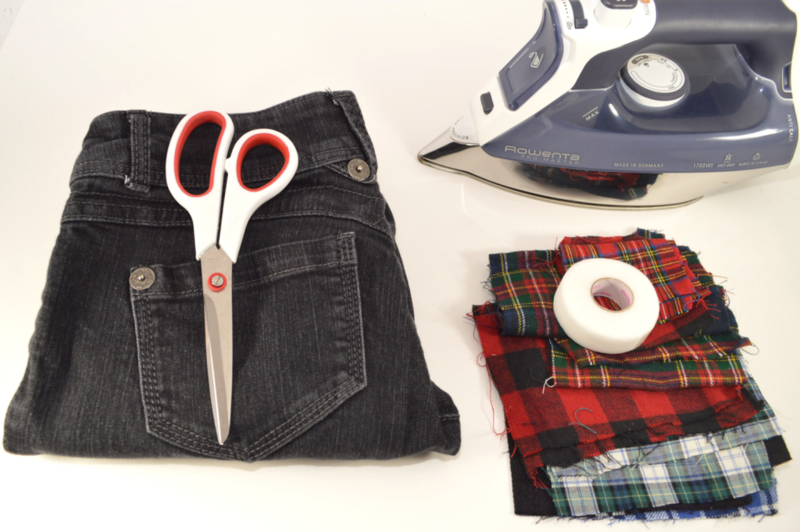 Let the fabric cool and you’re good to go!